The sprouting of seeds is called Germination. 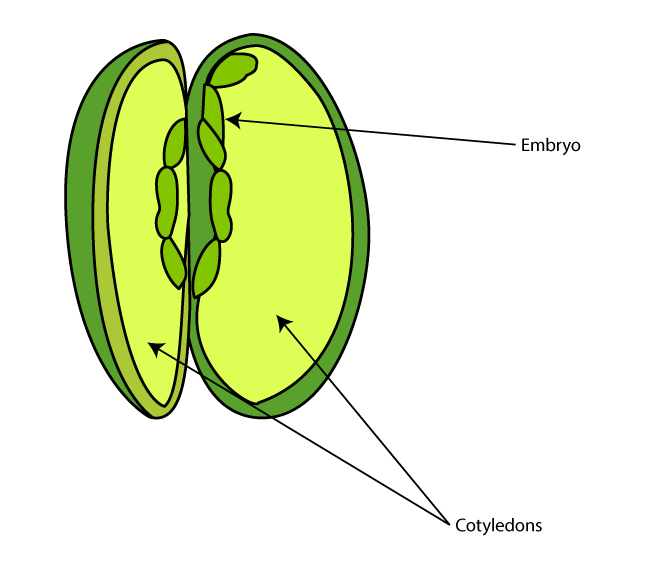 A germinating seed has a baby plant, called an Embryo, on its surface. This tiny living thing gets its nutrients from theCotyledon, which is the fleshy part of seed. The cotyledon may or may not be in two pieces. As the plant embryo matures, the downward growing part becomes theRoot system, whereas the upward growing part becomes the Shoot system. The cotyledon sustains the baby plant until it bursts through the top of soil and starts using the sun to make its own food. Germination is an intricate process, and many factors, including lack of water or strong chemicals, can prevent it. Microwaves also can affect the germination of seeds. 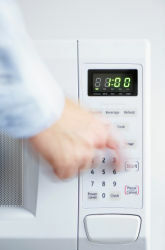 The microwaves emitted by a microwave oven are a form of radiant energy that fats and water in particular absorb. This absorbed energy can warm up your food, but what effect would it have on a radish seed? Would microwaving a seed help or hinder its growth? 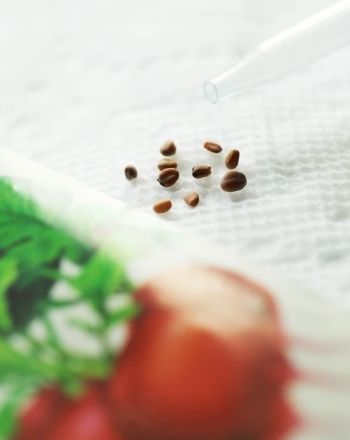 How do microwaves affect radish seed germination? Using the ruler, cut out seven 20 cm x 16 cm rectangles of aluminum foil. Cut six rectangles of paper towel, 18 cm x 15 cm. Make the labels for your experiment on the paper towels: 0 seconds, 30 seconds, I minute, 2 minutes, 4 minutes, and 8 minutes. 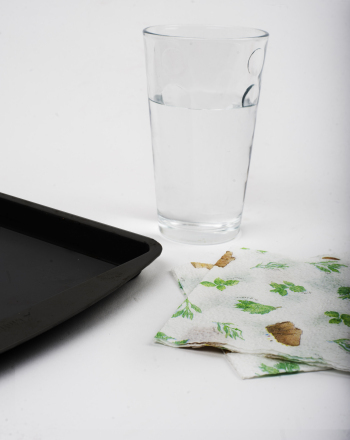 Make creases in the paper towel pieces by folding them into thirds, each 6 cm long. Set a paper towel in the middle of one piece of aluminum foil. Using the spray bottle, spray the paper towel until all of it is moist, but not dripping wet. Make a line of about 10 radish seeds down the centre of the paper towel. Fold the foil around the paper towel. Write “0 seconds” on a label and place it on the foil packet. This will be your control group. Fill the coffee cup with water and place it in microwave. This cup will absorb any excess energy caused by the microwaving of the seeds.Don’t forget this step! Put about 10 radish seeds into the dry microwave safe container. Set the timer for 15 seconds, make sure you have both the radish cup and water cup inside, set the power to high, and hit start. After the seeds have been microwaved, remove them and place them on another paper towel bed and foil. Label with the 15 seconds label. Dump out the water in the cup and put in new cool water. Repeat the procedure microwaving radish seeds for 30 seconds, 1 minute, 2 minutes, 4 minutes, and 8 minutes. Place the foil packets in a box or drawer. 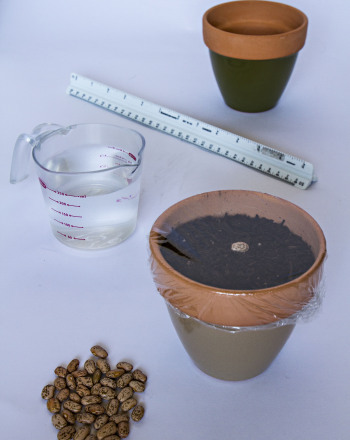 Check the 0 seconds packet for germination after two to three days.If no seeds have started sprouting, rewrap and check again every day until you see germination. You might need to spray the paper towel with more water if it’s dry. Keep observing the germinating plants for at least four more days. Note any differences in how long it takes the seeds to germinate and root or shoot system growth. Results will vary depending on the strength of your microwave oven and radish seeds. The radish seeds that weren’t microwaved at all should germinate in a couple days. The stem system with tiny leaves and the root system with tiny root hairs should become more and more evident. Seeds only microwaved 15 seconds might actually show more sprouting early on. Seeds microwaved for longer periods won’t sprout at all. If all your seeds sprout, you need to redo your experiment with higher microwave times, if none of them sprout, you need to redo the experiment with lower microwave times. Don’t be discouraged, real science is all about trial and error! Seeds need a moist environment to sprout. 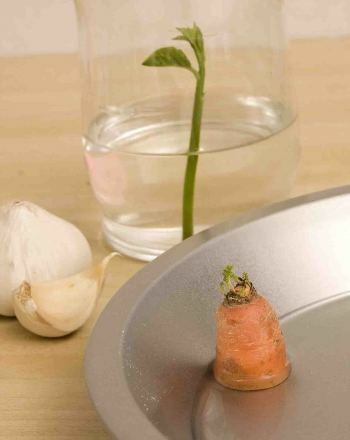 Your control group of seeds that weren’t microwaved will show you how long sprouting takes under normal conditions. A possible explanation for why seeds microwaved a short time sprouted more than the control seeds is that the heating opened the seeds' coats a tiny bit, allowing water in and starting germination sooner.There are a couple reasons why the seeds microwaved for longer periods did not germinate at all. The water absorbed the microwaves so extensively that it caused the water in the seeds to boil away. A dried out seed can’t germinate even if water is added later. The microwave oven also could have damaged the essential fats the seed needs to grow. Try experimenting on different seeds. Are some seeds more sensitive to microwaves than others? What about their structure causes this variation? You might also try microwaving the soil. 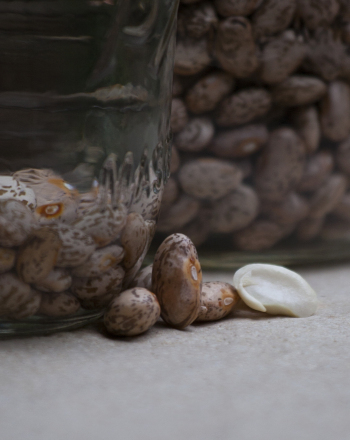 Check out this fun and easy science fair project idea on germination of a seed and learn to identify exterior and interior parts of a bean seed. 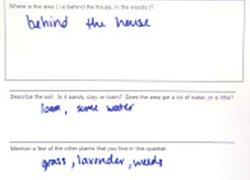 Give them a fun challenge with this fill-in-the-blanks quiz about the parts of a seed! 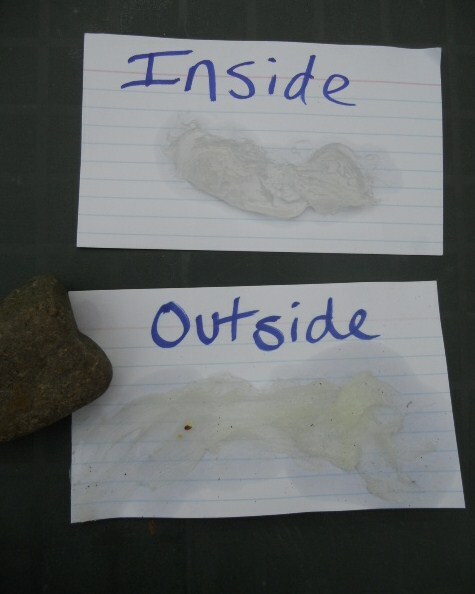 This easy at-home experiment is a great way to "see" science. Can New Plants Be Made Without Seeds? 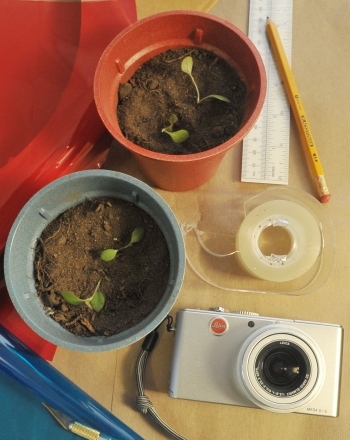 This science fair project idea explores plant growth from a bulb, root, and a stem and investigates asexual plant reproduction. 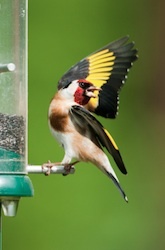 Do Birds Have a Favorite colour? 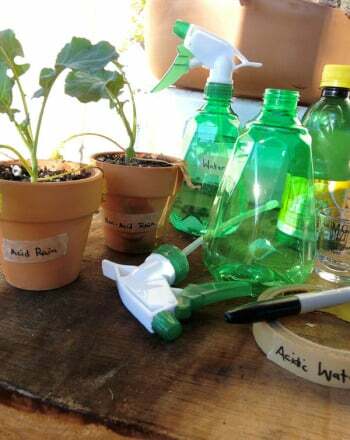 Students explore hot desert plant adaptations in this cool science fair project by observing how these organisms prevent excessive transpiration.